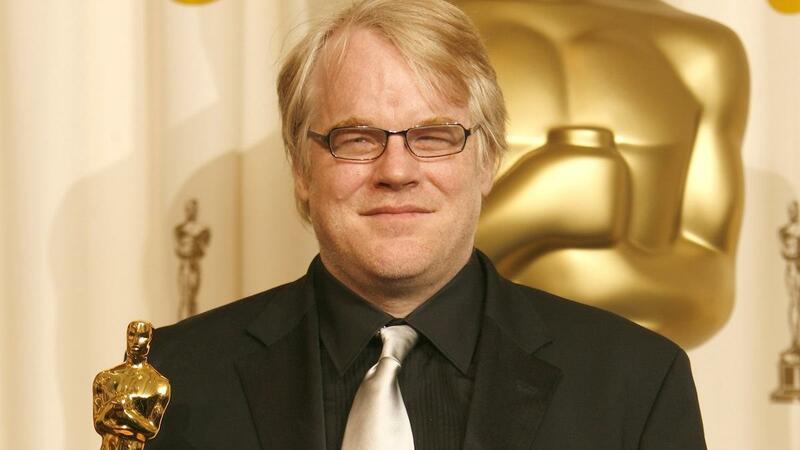 Philip Seymour Hoffman received the Best Actor Oscar in 2005 for his performance in the movie Capote. Of the twenty Best Actor/Actress, Best Supporting Actor/Actress nominees for 2005 fifteen were born in the U.S. three from New York, two from Illinois, two from California, one from Connecticut, one from Florida, one Kentucky, one Louisiana, one Montana one from Washington D.C. one born in Puerto Rico, one born in Italy while parents were stationed there. There were three from the UK, one from Australia and one from South Africa. The Best Actor Recipient/Nominee Academy list was the same as the SAG list except that Terrace Howard is on the Academy list and Russell Crowe is on the SAG list. The Best Supporting Actor List for the Academy is the same except William Hurt is on the Academy List and Don Cheadle was on the SAG List. The Best Actress List was the same except Keira Knightley was on the Academy List and Zhang Ziyi was on the SAG List. The Best Supporting Actress List was the same for the Academy Awards and for the SAG Awards. In 1997 Philip Seymour Hoffman appeared in Boogie Nights the same movie Leonardo DiCaprio did not appear in because he was appearing in Titanic. On the 2005 Best Actor Nominee List Heath Ledger appeared in the movie Brokeback Mountain with 2005 Best Supporting Actress nominee Michelle Williams, in 2010 Michelle Williams co-starred in the movie Shutter Island with Leonardo DiCaprio. 2005 Best Actor Nominee Joaquin Phoenix appeared in the 2004 movie Hotel Rwanda with Don Cheadle who did not get a chance to work with Leonardo because of Leo’s decision to work on Titanic. 2005 Best Actor Nominee Terrance Howard is in a soon to be released movie titled Term Life with Actress Hailee Steinfeld. In 2010 Best Actress Nominee Hailee Steinfeld appeared in True Grit with Best Actor Nominee Jeff Bridges. In 1974 Jeff appeared in the movie Thunderbolt & Lightfoot with Clint Eastwood who directed Leonardo DiCaprio in the 2011 movie J. Edgar. 2005 Best Actor Nominee David Strathairn appeared in the 1994 movie The River Wild with Meryl Streep (and Kevin Bacon), In 1996 Meryl appeared with Leonardo in the movie Marvin’s Room. 2005 Best Actress Nominee Judi Dench appeared with Leonardo in the 2011 movie J. Edgar. In 1996 Judi Dench appeared with Kate Winslet in the movie Hamlet, and Iris in 2001. While researching my 2015 Oscar Stats Post I decided to go back through the last eleven years of Best Actor/Supporting Actor, Best Actress/Supporting Actress lists for the Academy Awards and for SAG Awards (Screen Actors Guild) to see whose names were on the nominations lists and what Country or State they were from. Names that kept popping up over those years were Leonardo DiCaprio and Kate Winslet. 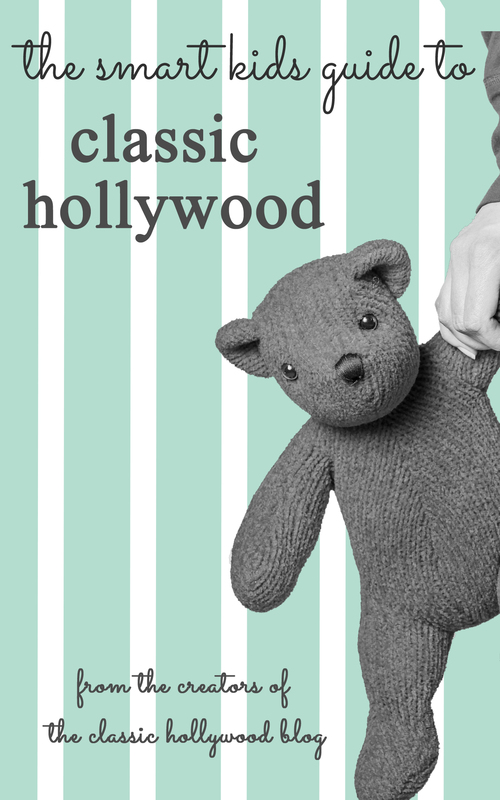 TCM is playing a ‘six degrees to Kevin Bacon’ type game in connection to the Academy Awards the month of February; at Classic Hollywood we thought it would be fun to try the ‘six degrees’ test with Leonardo and Kate from the Academy List. The trick is we would only be using names on the Best Acting nominee list for Leonardo and the Best Actress list for Kate (UK actresses only) of course there are always exceptions to the rules. In 2004 there were twelve actor/actresses nominated from the US three born in California, one from Illinois, one Kansas, one Kentucky, one Missouri, one Nebraska, two New York, one Tennessee, and one from Texas. There were four from the UK, one Australia, one Columbia and one born in Israel. 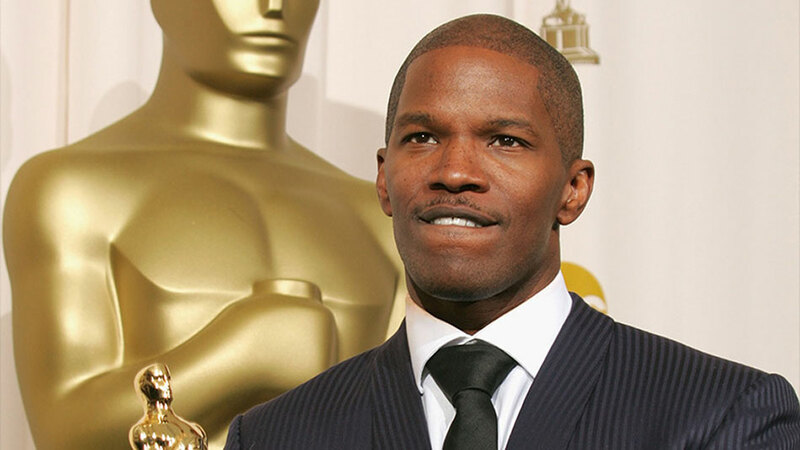 Jamie Fox received the Best Actor Award for 2004, the Best Acting nominee/winner list for the Academy is the same as the 2004 SAG list except that Clint Eastwood in on the Academy list and Paul Giamatti is on the SAG list, the Academy Best Actress List is the same as the SAG list. Leonardo DiCaprio also on the 2004 Best Actor Nominee list worked with Jamie Fox on Django Unchained in 2012, Johnnie Depp on What’s Eating Gilbert Grape in 1993, was directed by Clint Eastwood in the movie J. Edgar in 2011 and would have worked with Don Cheadle in Boogie Nights in 1997 if he hadn’t instead taken the part of Jack Dawson in the movie Titanic…in which of course he costarred with Kate Winslet that was also nominated for a Best Actress award in 2004. Imelda Staunton among the nominees for Best Actress in 2004 acted with Kate in the 1995 version of Sense & Sensibility. 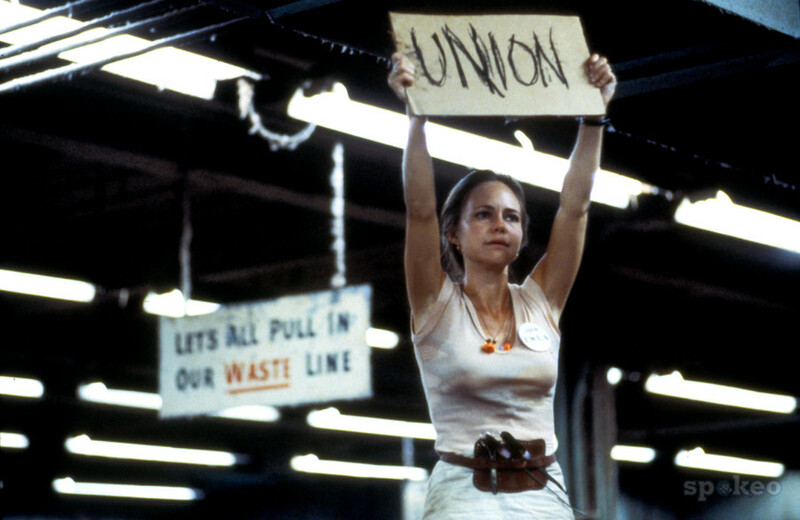 This iconic picture of Sally Field as Norma Rae holding the Union sign is to remind people of the reason for the Labor Day Holiday. For her performance in the 1979 film Norma Rae, Sally Field received the Best Actress award. The movie was based on the real life of textile worker Crystal Lee Jordan and her experiences in her support to bring the Union to textile workers in this country in the 1970’s. Bosses are always adamant about unions…they just don’t like them, because as we all know if wages fall there is more corporate profit. 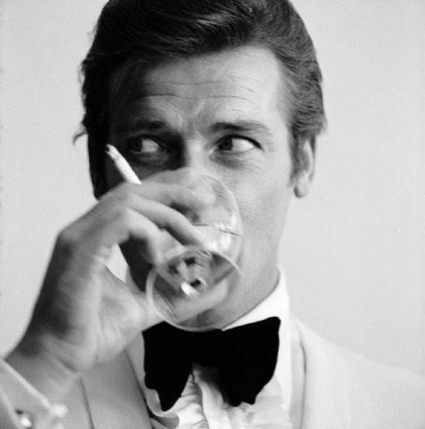 Studios did not want to touch this project; Alan Ladd Jr. took a chance for 20th Century Fox. There were three actresses that turned down the roll; but were nominated for Best Actress in other roles that year. Jill Clayburgh in Starting Over, Jane Fonda in The China Syndrome and Marsha Mason in Chapter Two. In the 1980’s during the classic Hollywood actor turned President Ronald Reagan years Ronald encouraged part time work with no benefits, a definite perk for big business. As long as a worker did not go over the 35 hour mark their employers did not have to provide benefits. Even today in the teen part of this century it became a law that anyone working over 30 hours was to receive benefits. Employers then knocked themselves out to bypass this law by cutting workers hours to 29 hours a week. Companies, even Public Libraries cut unwanted (those deemed as trouble makers for a new regime) non-union full time employees to as low as 15 hours a week in hopes those employee’s would quit. Or they terminate non-union part-time workers with no legitimate explanation at all. Our parents, grandparents and great grandparents in the past, turned towards unions for: dignity in the work place, a decent working wage with benefits, and decent work hours. The cavalier attitude by bosses of ‘if you don’t like it go somewhere else’ is as real today as it was in the past. Sometimes there is nowhere else to go. They seem to forget that it is through the hard work of the little people that they reap their financial rewards. So take a pause on this Labor Day to remember that history does repeat itself. And to remember other classichollywood films that moved us and brought to our attention the real life struggle in the workplace that still goes on today. Joan Crawford TCM’s star for the day acted in eleven Noir movies between 1945 and 1956. She received the Best Actress Oscar for her performance as Mildred Pierce in 1945. Joan was nominated for Best Actress in the Film Noir thriller about ‘who was going to kill whom’ Sudden Fear in 1952. However the Oscar eluded Joan that year and went to Shirley Booth for her performance in the movie ‘Come Back Little Sheba’. 1934 was the first year to choose pictures for eligibility for Academy Awards within a calendar year: January 1st thru December 31st. It was the first year all of the major awards were swept away by one single movie, It Happened One Night. Talk about your sour grapes these awards were received by Columbia Studios a poverty row studio. Columbia Studios did not have a large stable of actors but what it did have was Frank Capra. And the Hollywood moguls also had a way of punishing contract players by loaning them out to lower studios to appear in low budget movies to keep them in line. I’m sure Clark Gable an MGM boy and Claudette Colbert a Paramount girl were laughing all of the way to the podium when they received their Best Actor, Best Actress Oscars. I can picture Clark thumbing his nose to old Louis B. On a side note 1934 was the year that almost 6 year old Shirley Temple received her miniature Oscar statuette for her ‘outstanding contribution to screen entertainment’. 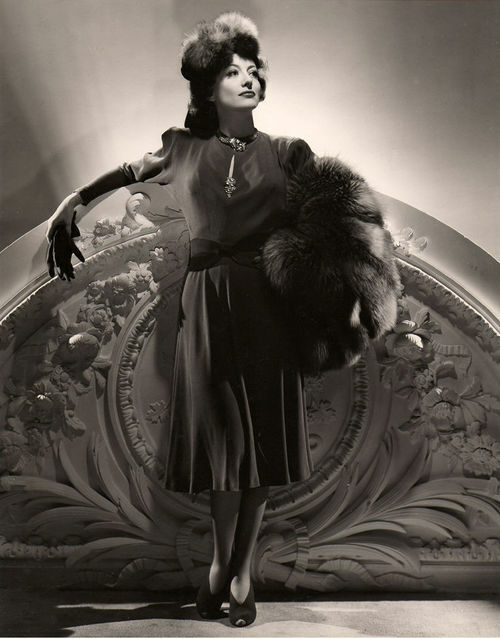 Shirley appeared in nine features during the calendar year.